Perth Seniors Fellowship operates the "Perth Seniors Active Living Centre", offering area residents "activities for seniors" at McMartin House, 125 Gore Street East, Perth, Ontario, K7H 1J6. How did Perth Seniors Fellowship acquire this responsibility? We began as an informal organization named The Perth and District Senior Craft Fellowship (P&DSCF) early in the 1970’s. On November 22nd, 1974, as recorded in its Letters Patent, P&DSCF was formally recognized as a registered Corporation and Charity with the principal objective of “promoting good fellowship among the Citizens of Perth and District, and in particular the senior citizens of Perth and District.” Associated objectives included promotion of the “learning of crafts” and of social and learning “activities”. In 1975, McMartin House opened as a Historic Site and P&DSCF began offering activities on the premises. In September of 1975, the Province of Ontario granted P&DSCF recognition “as a Corporation approved by the Ministry of Community and Social Services of the Province of Ontario to operate the McMartin House as a Centre under the Elderly Persons Centre Act with financial responsibility shared by the Province, the Town of Perth and the fellowship, 50, 20, 30%.” (See the last paragraph, below, to read about the legislation that has replaced this act). To accept money from Her Majesty The Queen either in right of the Dominion of Canada or in right of the Province of Ontario, for any and all purposes including but not limited to the maintenance and operation of an Elderly Persons' Centre. From 1974 to the present, P&DSCF has developed and offered activities and events within McMartin House that “are of interest to the Citizens of Perth and District, and in particular to the senior citizens of Perth and District.” Activities for seniors have included Bridge, Euchre, Scrabble and other board games, Rug Hooking and other crafts, Social (and craft learning) groups like the Friendship Club, Book Clubs, Stamp Clubs, Exercise groups, Line Dancing and Scottish Dancing groups. We also offer a number of events of interest to the wider community. Our Annual Open House is held every July, in conjunction with “Doors Open Ontario”. Each December we offer the “Nick of Time Craft Show’, an event that features over 20 of the area’s most skilled artisans in a high quality, juried art and craft show which brings in hundreds of visitors. “Serving social, intellectual and recreational needs of our mature adult community while preserving the heritage of McMartin House”. In November of 2014, P&DSCF completed 40 years of service to Perth and District’s senior citizens. In September of 2015, the Province of Ontario approved Changes in Letters Patent changing our name to PERTH SENIORS FELLOWSHIP and clarifying and simplifying our objectives as a corporation and registered charity. Our revised objectives are listed under the OBJECTIVES TAB on this web site. As of October 15th, 2017, new Ontario Legislation, entitled the Seniors Active Living Centres Act, 2017, came into effect. A copy of the new legislation can be accessed here. Perth Seniors Fellowship now manages the Perth Seniors Active Living Centre, and our previous name (Perth Seniors Elder Persons Centre) is retired. Further information on the importance of the new legislation may be found under our NEWS TAB. Over the past 29 years, three members of one Perth family have worked diligently to ensure that McMartin House has its financial affairs in order, is clean and well maintained and meets the logistical needs of the activities and events offered. We are very fortunate that Vivian Buchanan, our very capable Executive Director and Comptroller, is still with us. She competently and efficiently manages the Corporation’s financial affairs, and liaises. on our behalf, with the Ontario Heritage Trust and local or regional officials. She also provides informed advice and reminders supporting our operation as a Board. Keith Buchanan, for skilful and reliable maintenance work, for supervision of contractual maintenance or repairs, for important contributions to housekeeping and for ready availability when required. Keith has had to step back for health reasons, but we still rely on his advice and knowledge when McMartin House requires repairs/maintenance. Elizabeth McPhee Wall, who until she left in 2014, carefully managed McMartin House activities and events, did an excellent job carrying most of the housekeeping chores and assisted in other duties. HONOURARY MEMBERS: The late: Helena Hardy, Mary Bowrin, Gus Quattrocchi, Judy Burns. 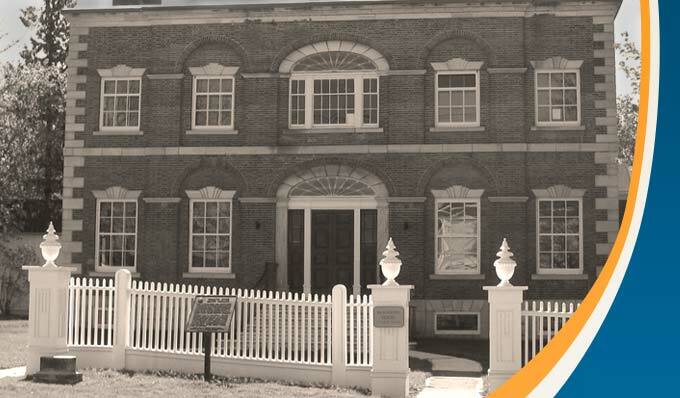 McMartin House is a National Historic Site owned by the Ontario Heritage Trust. Perth Seniors Fellowship (an Ontario Non-Profit Corporation and Registered Charity # 119091510 RR0001 ) leases the property, manages and operates it as the Perth Seniors Active Living Centre, recognized under Ontario's Seniors Active Living Centres Act, 2017.